A BROTHERS' bond once broken is being mended on the shores of Gallipoli. Gympie man Mark Lund, 57, and his brother Robert, 50, were separated in a family rift when they were teenagers. They restarted communication about a decade ago. "This is the first time we've actually done anything together," Mark said. "It's been a wonderful trip." 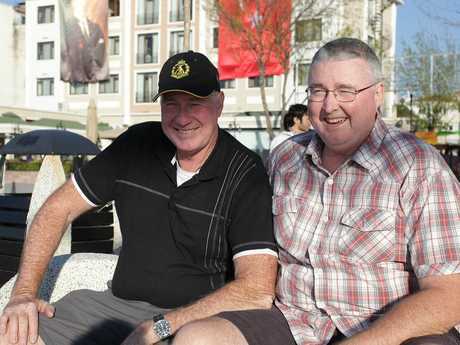 Brothers Mark and Robert Lund have bonded during their trip to the Gallipoli peninsula. 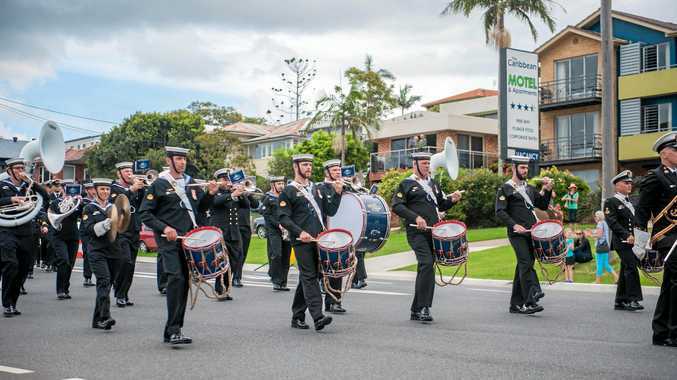 Mark, a former corporal in the army, and Robert, a former air force member and current reserve, said they had been enlightened by their tour guide to myths they had been taught as children. "Everything you have been told growing up is wrong to a degree," Mark said. He said more accurate accounts of battles had deepened his understanding of the campaign. "To look at the disasters as they are, understanding tactics at my level, I just can't get my head around it. "The way they were, the way they thought, was just different." Robert was thrilled at being able to be with his brother on a trip he had dreamed about. "To come here has been on my bucket list since before the bucket list was invented."